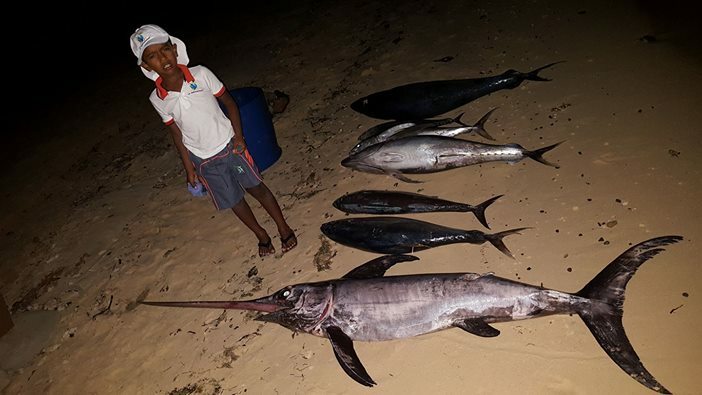 The very early age of Le Performant Fishing Club in Mauritius. On the right hand side you can see the Director of the Club Captain Nimalen Permal. Nowadays Le club is performing very good and we are one of the best on the Island. 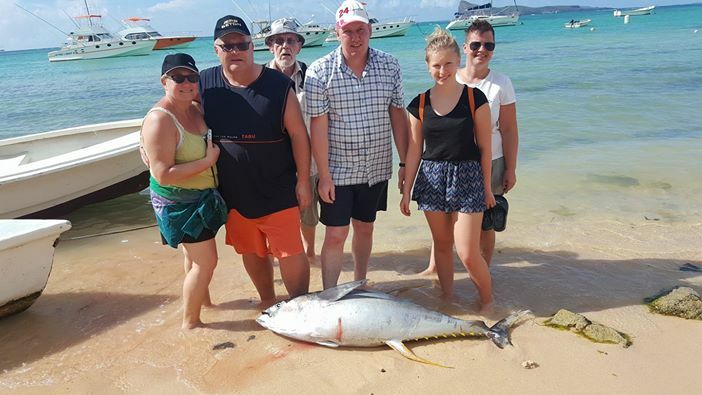 ERIKSEN FAMILY AND BRINKSBO FAMILY from Danemark had booked their Big Game Fishing trip with us in Mauritius on the 20/02/17 on our boat LE PERFORMANT 1. A Big Yellow Fin Tuna of 100 LBS was caught. The weather here on the Paradise Island; Mauritius is perfect for big game fishing lovers. The catch’s result of the day reflects the cool weather. 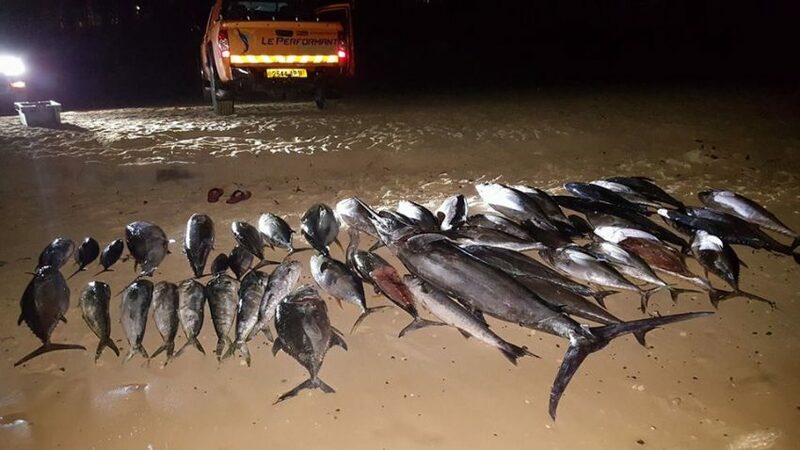 Angler on holiday here, book our boat “Le Performant 1” with Captain Nicolas and Siva as helper and they landed back with 787 LBS of Yellow Fin Tuna. Our Big Luxury 55ft vessel “LE PERFORMANT 2 “CATCHES ( Pictures), 60 HOURS TRIP TO SOUDAN BANKS and we had released lots of Dog tooth tuna. 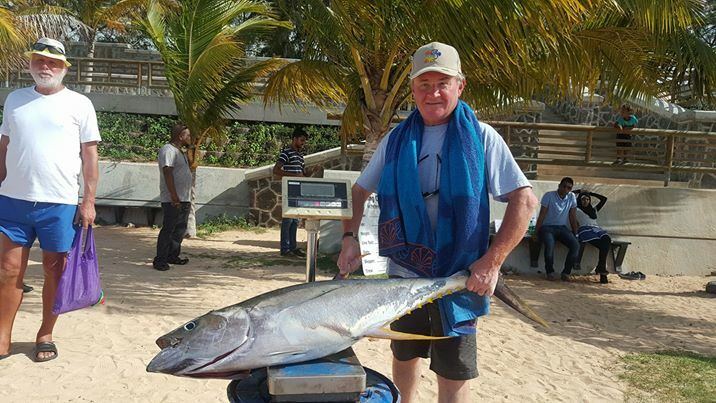 Le Performant Fishing Club also provides Big Game Fishing to ”Soudan Bank and St Brandon Trip” in Mauritius. 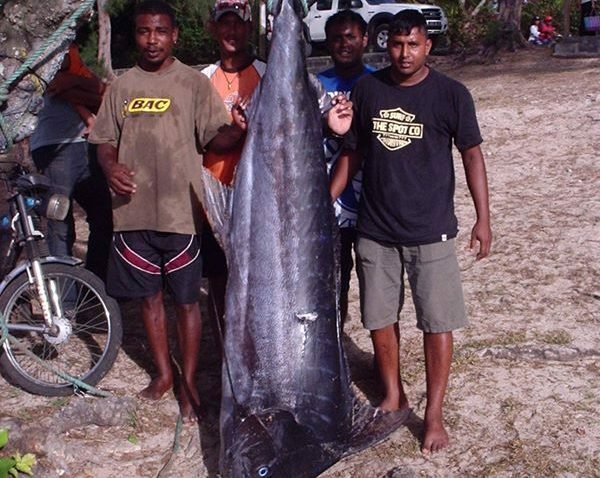 Soudan Bank and St Brandon are also known as the Fisherman’s Heaven of the Indian Ocean. Skipper Bernard was on board of the “Le Performant 3” today and helped by Siva; crew member. 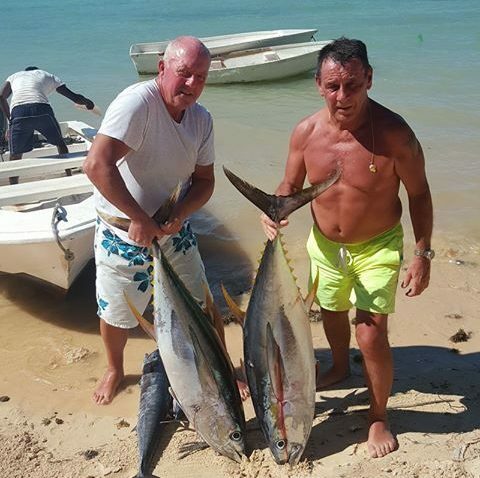 On this thursday 2/2/2017 there was 2 Anglers namely Mr Jacky and Mr Jean from Corse and France respectively. 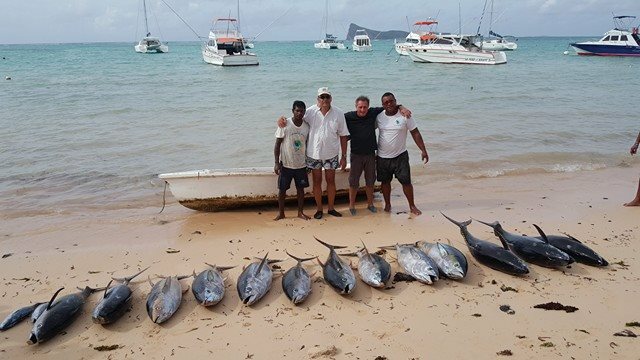 Their fishing day finished with 2 Yellow Fin Tuna one of 56 LBS and the second of 46 Lbs and there were also 1 Wahoo and 3 Bonitos. 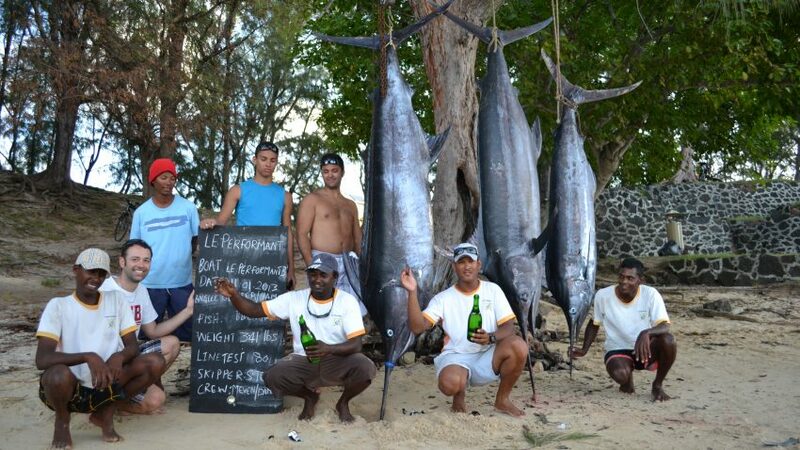 If you want to do Big Game Fishing in Mauritius, Le Performant Fishing Club is the best ! 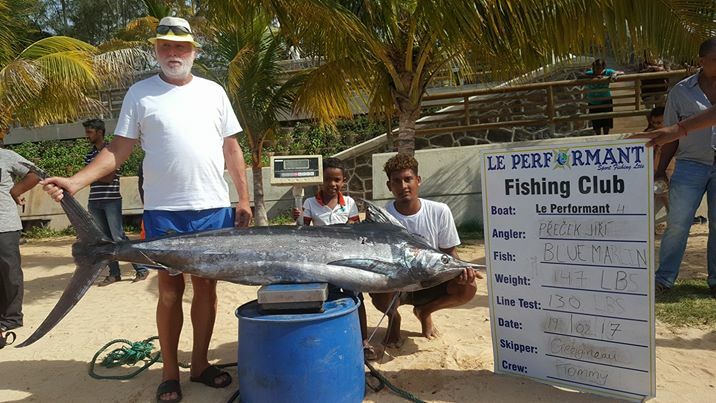 In January 2013, Skipper Bernard his crew member; namely Siva who is still at the Club caught during these time, as you can see 3 Big Blue Marlin on board of the “Le Performant 3” vessel. It was the catch of the moment.